We encourage all of our patients to visit us at least once every six months. During these routine, recare appointments, we provide a thorough dental cleaning and exam to make sure that your teeth and gums are in good health. Depending on your individual dental needs, we may recommend that you come in more often than this. The pits and grooves of your teeth are prime areas for decay to set in. Even regular brushing sometimes misses some of these intricate areas on the chewing surfaces of your teeth. A sealant is a thin coating applied to the chewing surface of the tooth. It’s designed to prevent the intrusion of bacteria and other debris into the deep crevices of your teeth. Think of sealants as raincoats for your teeth. Everyone has cavity-causing bacteria in their mouth. When bacteria meets leftover food particles that can get stuck in your teeth, they produce acids that can create holes in teeth. These are cavities. After a sealant has been applied, it keeps those bits of food out and stops bacteria and acid from settling on your teeth—just like a raincoat keeps you clean and dry during a rain. Some patients have periodontal disease and may not respond to regular, routine treatment and home care. Periodontal disease, also known as gum disease, is a serious problem that can lead to a variety of oral and overall health complications. Gum disease is a degenerative condition caused by bacteria in plaque. Plaque builds up on teeth, and this bacteria may cause inflammation and infections in the gums and supporting tissues that hold your teeth in place. When left untreated, gum disease can lead to tooth loss, bone loss, and receding gums. Our team will work with you determine your level of gum disease. If needed, Root Planing and Scaling will be recommended. This “deep cleaning” has two parts. Scaling is when the plaque and tartar (hardened plaque) above and below the gumline is removed. Your dentist will then begin root planing, smoothing out your teeth roots to help your gums reattach to your teeth. 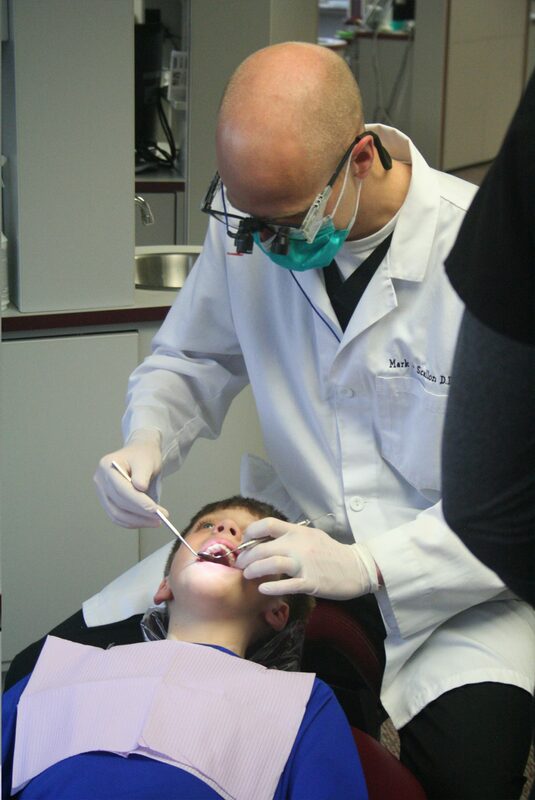 Prevention and early intervention are the best ways to ensure a lifetime of dental health. Contact our office today at 712-737-4177 or schedule here.